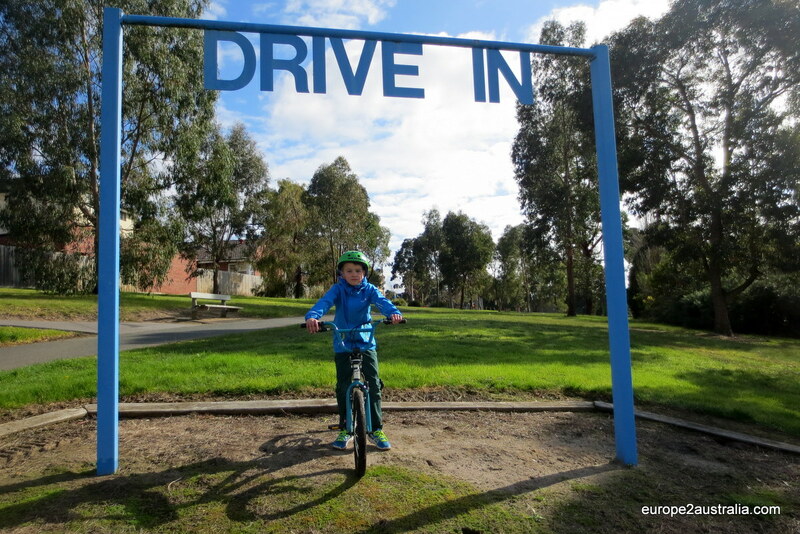 Coming from the Netherlands, where a bike is an integral part of everyday life and where there are more bikes then residents, it is about time that we continue that lifestyle here in Australia. Step one is taken, we bought bicycles. 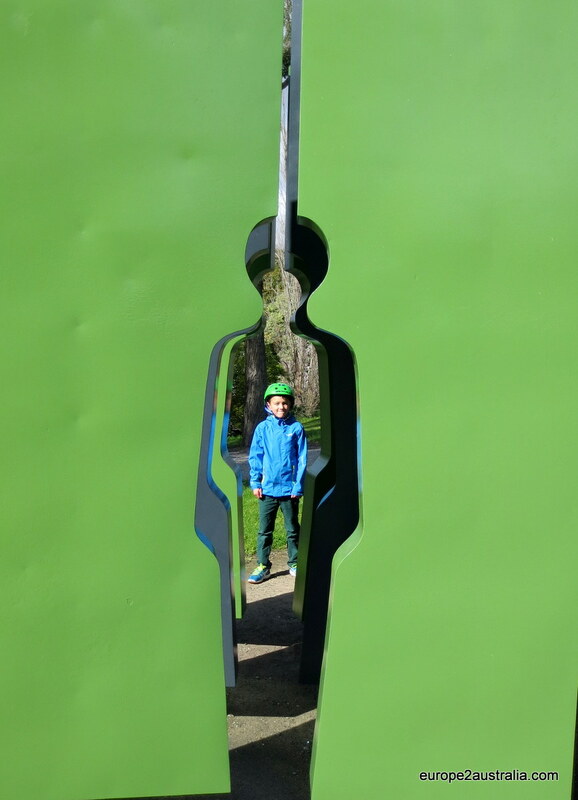 Today we started exploring. 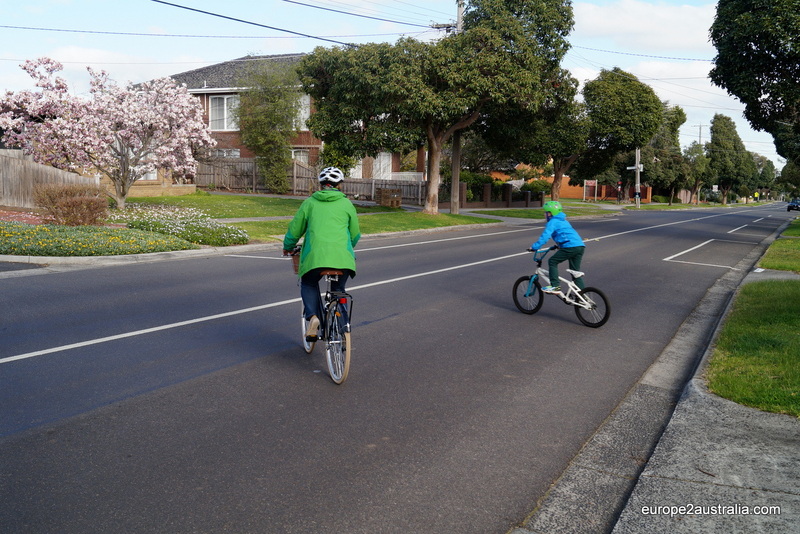 Melbourne is a very bicycle friendly city, there are many bike paths, but there are definitely more challenges here…. We live on top of one of the many waves of Mount Waverley. Any direction you head to from our house you will go downhill. Which is great to start with, but the return uphill trip is always in the back of my mind. 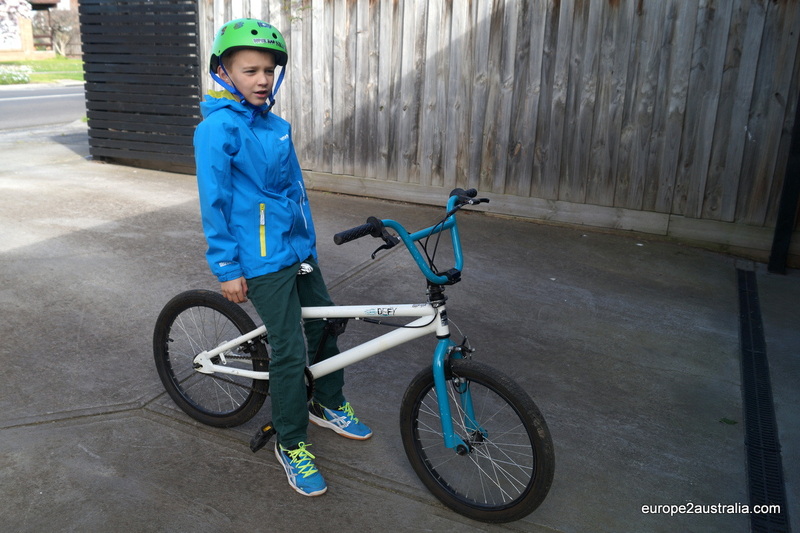 Kai on his ‘new’-gumtree BMX. Off we go; helmets are mandatory in Australia, also for adults. We went off to the Gardeners Creek Trail. 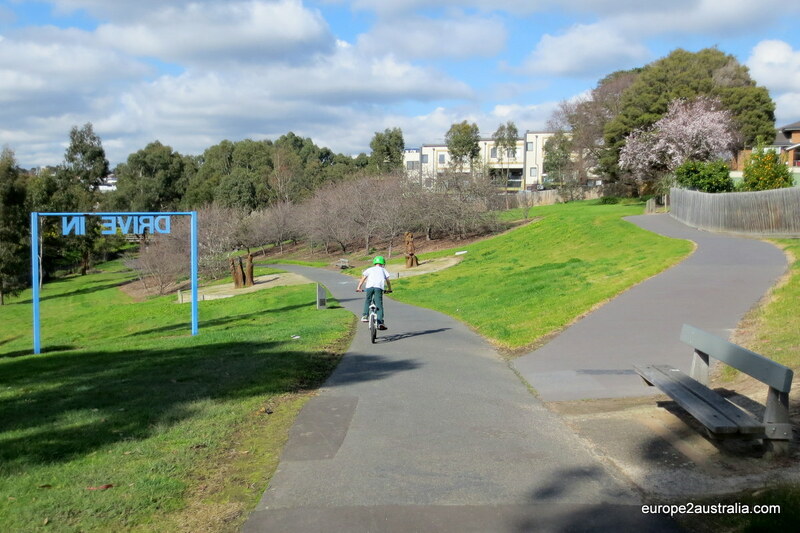 You can follow this trail all the way up to down-town Melbourne where it flows into the Yarra river. The last part of it I have already explored when I had my first wildlife encounter. It is all uphill and downhill, even alomg the creek. Coming from a ‘flat as a pancake’ country, this takes some getting used to. Along the creek there is a nicely paved path going up to downtown Melbourne. The distance to Melbourne is only about 16 km, so I guess that will have to be our next destination. Today Kai and I just wanted to try out our new bikes, so we did. The Gardiners creek itself is not very inspiring, a small trace of water slowly floating down over a concrete floor. The nature besides it however is beautiful. It does not take much to imagine what it must have been like here when there were no houses yet. Riding your bike here almost makes you forget that you are in the middle of big city with over 4 million citizens. 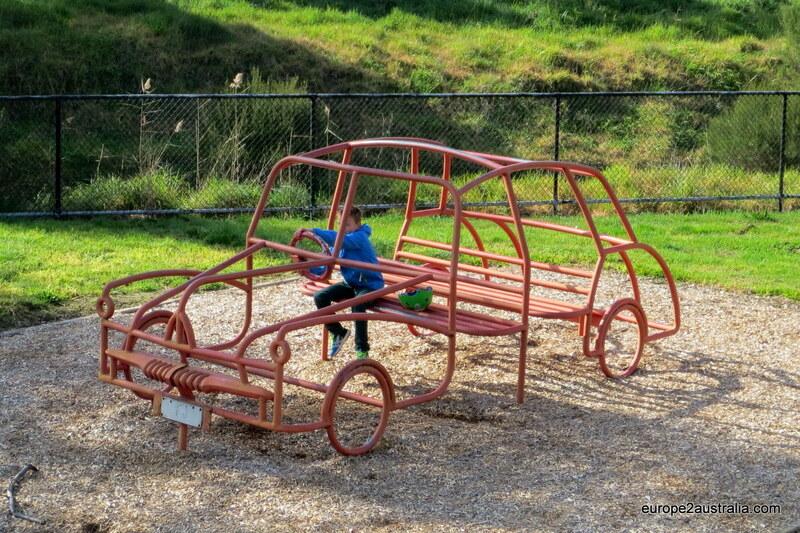 So, step one is taken and the test-ride was successful! Melbourne, watch out for the Dutch! Along the Gradeners Creek trail there are all sorts of interesting art works. A sculpture of a 1950’s Holden, one of Australia’s icons. By 1959 the Holden occured for 46% of all Australian car sales. Herzlichen Glückwunsch zum holländischen Icon! Sieht ja fast aus wie ein echtes Holland-Rad. Berg- und Tal fahren kann man in Holland ja wirklich kaum, aber bei Euch jetzt. Ich denke, da gewöhnt man sich ein wenig daran. Ihr habt offensichtlich besseres Wetter jetzt. Es ist ja auch bald September und der Vorfrühling beginnt.